All in all, it is a matter of choices. To keep or to skip one’s own traditions or one’s family’s traditions should be and is indeed one’s own right. There is no reason except a very nationalist one why all citizens in HK should speak Cantonese and understand Chinese, but also no reason except a very racist one to forbid any of them to learn it. Just like the hearty soup model, some ingredients will remain unmelted, while some will melt very quickly, depending on a lot of things, and anyway each and every single ingredient of the soup affects the taste and texture of the whole. There are interactions between all ingredients, to say the least. More liberal than the tossed salad model, people have the rights to choose. But then, what is the current situation in HK? Are these options provided adequately? To make the minorities learn about Chinese and HK cultures, have the local Chinese ever tried to understand their neighbours? With a bit more understanding, more suitable policies could be made much more easily, and their voices would not have been neglected like how it is. Even English, one of the official languages in HK, is not provided for the construction workers and real estate agents, then it is easily noted that too little has been done. Whether a proper, complete multicultural policy is to be established in HK, the primary problem is the growth of nationalism, or at least the strong urge of promoting nationalism by the Government as the presence of the non-Chinese members in the society has already been more and more noticed. Nationalism is a huge obstacle for every difficult step forward towards a more multicultural society. It is not an absolute enemy of multiculturalism, yet the purely ethnic nationalist approaches should be abandoned or at least amended. If not applying the civic nationalist perspective for not going too far from the PRC’s viewpoint, a more innovative and flexible ‘counter-state nationalism’ can be applied. It is the easiest way out in respect to the necessity of the promotion of nationalism in HK owing to no matter any reasons, but as facts have shown. While religion, ethnicity and nation-state are put together in the discussion of multiculturalism, Baumann (1999) also concluded that all three sides have to be properly taken care of, and the interrelations can never be disregarded. The minorities can be viewed from and categorised by any other angles, and ‘culture’ is just a start as an already exposed problem. If culture is simplified to be ‘ethnicity plus religion’, stereotyping and the negligence of other factors may arise. This is not what multiculturalism is supposed to bring to any society. Understandings and considerations are what people are looking for from it. What is important is to open up everyone’s horizons and to give people more alternatives. You can inherit and follow closely your parents’ lifestyles and traditions, while you should be free to opt for anything new to you. A big and international city as HK is, shouldn’t all residents be allowed to find their own cultures and to make choices accordingly? It is not difficult to achieve this dream of everybody. Is HK open enough to provide such choices to its people? 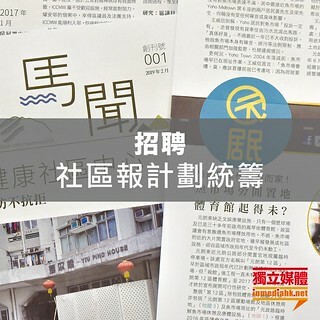 Is HK brave enough to face its own identity problems including this one? ‘[i]t is the politics of recognizing that all of us are composed of multiple social identities, not one. That we are all complexly constructed through different categories, of different antagonisms, and these may have effect of locating us socially in multiple positions of marginality and subordination, but which do not operate on us in exactly the same way’ (Hall, 1991, P.57, cited in Baumann, 1999, P.145). Now it is not up to anybody to ‘protect’ the suppressed ones, as everybody could be in one way or another marginalised. By looking at multiculturalism or any other kinds of liberation movements in various forms, it is to create a fairer and better world for all of us on Earth. This paper has only tried to deal with the situations facing the ethnic minorities in HK, but it does not mean that other suffering groups or individuals in elsewhere are not worth any concern. There is no way to settle all problems on Earth by anyone, however powerful he or she could be. Of course, it is only practical to look at the problems one at a time, but to make the world a better place to live for all inhabitants, all of us should do what is correct. An unknown technical problem persists and the reference list cannot be pasted here, so please find the reference list attached below as the first 'comment'. Sorry for any inconvenience caused!